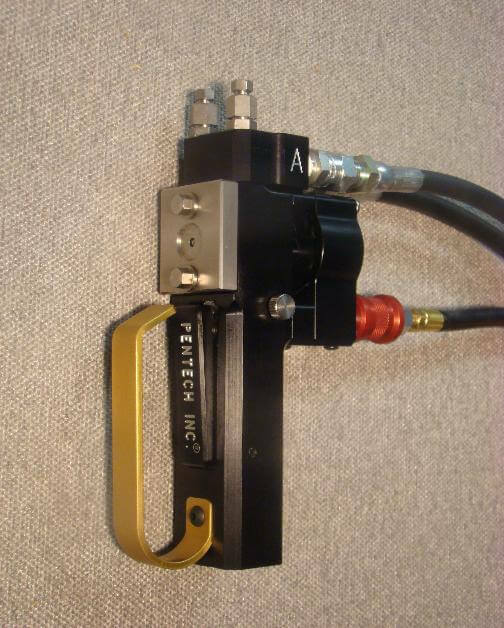 Pentech’s MG Spray Gun is simple to use, easy to maintain. This is in part due to the low parts count. MG3001 Air Cylinder comes with two PSG2006 screws installed. 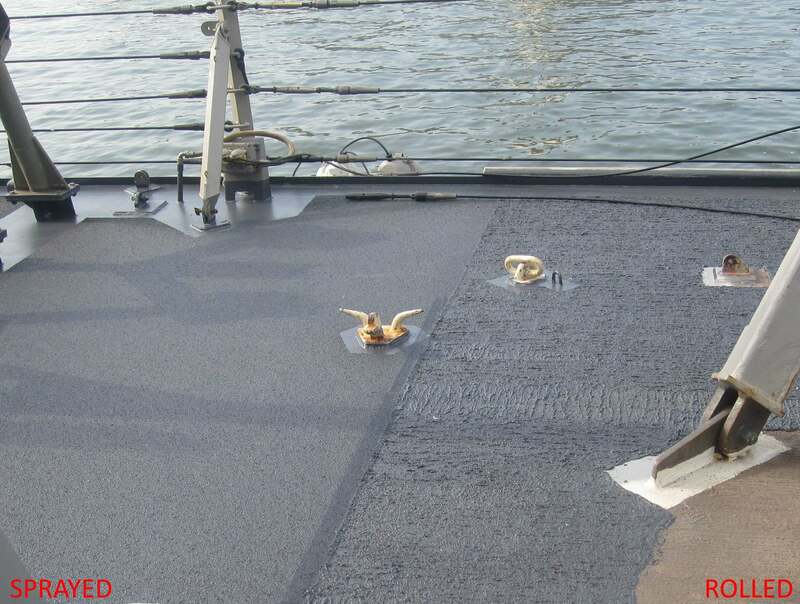 Recently we received some photos of the Pentech S6MM Non-Skid Spray Machine being used to coat the fore deck of a U.S. Navy Destroyer. 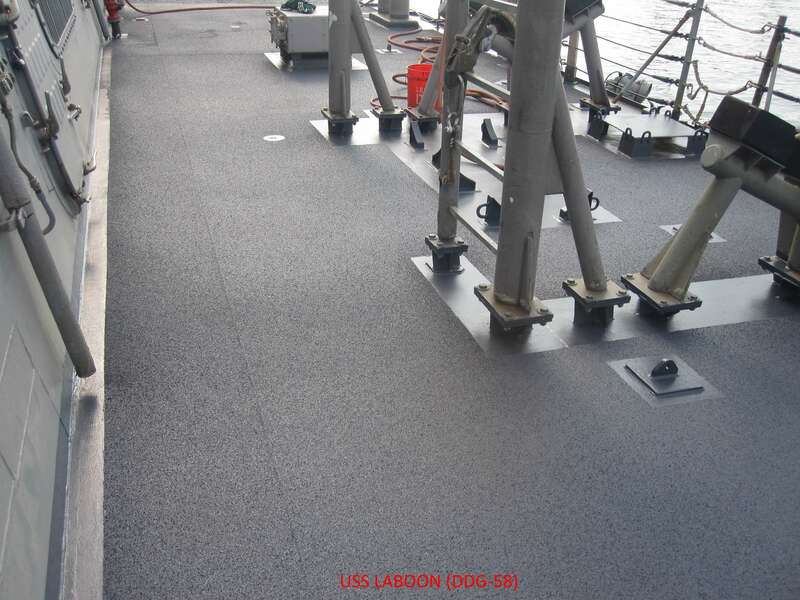 NCP Coatings SiloxoGrip N-9020 Polysiloxane non-skid was spray applied to provide a very uniform, high traction surface with a long service life. Photos courtesy of the U.S. Naval Research Laboratory. Back in production due to industry demand. The BD Gun is used when controllable high output is desired. Precisely spray apply 1 to 40 lbs./min. of polyurea coatings, urethanes, and spray foams. Simple to operate, easy to maintain and clean. Low parts count, inexpensive to service. Includes 24” extremely flexible whip hoses for superior maneuverability. Available Now. 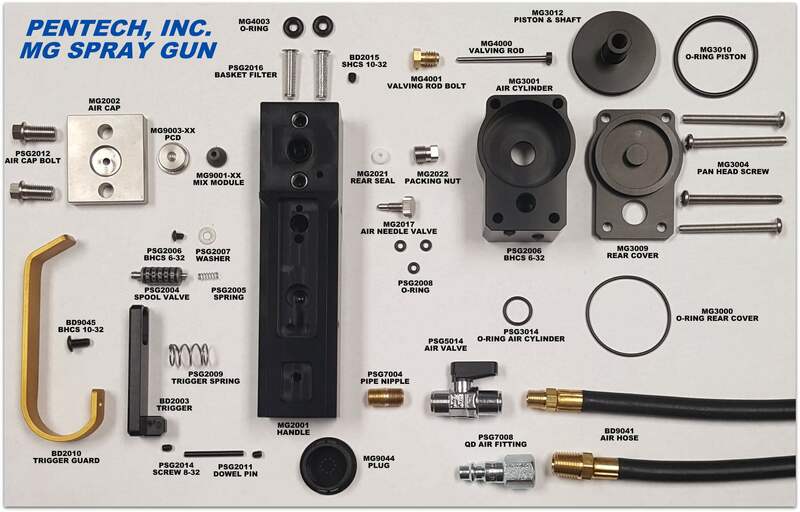 Learn more at the BD Gun product page. Contact the Sales Department to purchase. In order to better showcase our products and capabilities we launched a new website for PENTECH Inc. If you have any comments or suggestions for improvements please do not hesitate to contact us. 10-7-2010 We launched our new web site.